Well. I feel cheated - both during the time it took to read the book, which, admittedly was less than a day, but especially after finishing it. Let me try and explain why. As a reviewer, I try never to read reviews until after I write mine, and maybe not even then. 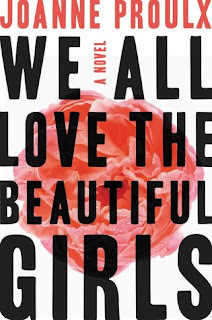 In the case of We All Love the Beautiful Girls, I didn't read a single review. What I did read was the effusive quotes on the back cover of the hardcover book. There were seven quotes. Effusive. Made me wonder why I let the ARC of this book sit on my shelves for several months. Oh, I read a lot. Every day However, there is only so much time. Well, I picked up the book - along with a reviewer friend - for review this weekend. 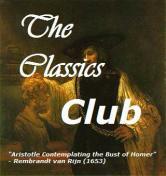 I was really excited after reading the quotes from other authors and a couple of publications. To say the least, the quotes and the hype in no way measured up to my take on the book. Let me start with a summary and then I will write up my actual review thoughts. It is a very, very bad time for Mia and Michael Slate. While they are reeling from the lost of Michael's company and their life savings, they discover that after their seventeen-year-old son went to a party, while high, he fell and passed out in the snow. This was a devastating event that toppled the already crumbling lives of their family. Sadly, more than the Slate family were affected by what happened to their son Finn. Michael and Mia led a fairly charmed life. They both had exceptional jobs, had been married 19 years and had a relatively happy family. Things changed overnight. They lost everything, nearly lost Finn due to his trauma, and their family fell apart. Michael lost his company when his best friend Peter cheated him out of everything due to embezzlement. What Finn lost during that snowstorm was very tragic. He lost his hand, but truly, he lost himself. To complicate matters, Peter's daughter Frankie, at 23, is in love with Finn, but there is a young man Eli in love with her. Then Michael's wife Mia lost it all when she wondered about the stability of her marriage. The overwhelming sense of drama after losing their livelihood quickly took second place and Finn's loss of his hand left Mia trying to keep things together, while Michael completely lost his way. Michael spent about 98% of the time during this book feeling sorry for himself. Yes, Mia did as well, but for different reasons. While Michael spent his time away from Mia and Finn, Mia used this time to play around with a fantasy. Giving in to said fantasy would no doubt completely erode any chance the family had of recovering. When I read a book, admittedly I like to latch on to at least one character, preferably several. In this book, I was not afforded the opportunity. There is Michael, Mia, Finn and Frankie. NONE of them were likable. They were all broken and I could only hope through the pages of this book that at least one of them would be redeemed. Had that been the case, then my rating would have climbed up just a bit. So, think. Imagine. You are on a train barreling downhill with no breaks. On the wrong track! Yep, that is what this book was. As I rapidly approached the epilogue I was so very hopeful that something, even one thing, would turn around. It never did. Despite my overwhelming negative feelings towards this read, I will say that Joanne Proulx is a good storyteller, her writing was cohesive and I was initially drawn to the characters, especially Finn. What he dealt with I couldn't imagine my own children suffering through. A graduate of the Bennington Writing Seminars, Joanne lives, writes and teaches in Ottawa, Canada. I totally get this! I am like you, I need to relate or find something to like in at least one of the characters or I grow increasingly annoyed with a book and want to throw it against the wall to get it away from me! Nice review. Pity it wasn't great for you though. Here's to a better next book. Even though this book didn't work out for you I'm intrigued to read it. I'm sorry you didn't like this book. Great honest review. Hope your next read is better. Too bad it didn't turn out so good! Great review though!